Chiarillo's offers a variety of residential and commercial plumbing services in the Farmington area. Not only do we fix leaky faucets and plugged up toilets. 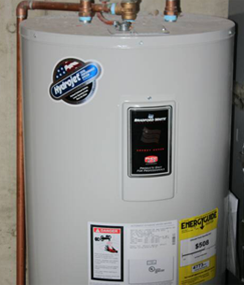 We are a full-service plumbing company that will install a new plumbing system and water heater. If you have an older building and are concerned about plumbing failure, we can have everything repiped. If you suspect you have a leak or two, we can detect where they are and do the repairs. We've completed a lot of plumbing jobs in bathrooms, kitchens, laundry rooms and work areas. We're even the company to call if you need a hookup for your washing machine and hot tub. We have a good reputation in your town and know you'll be happy with our customer service and work.